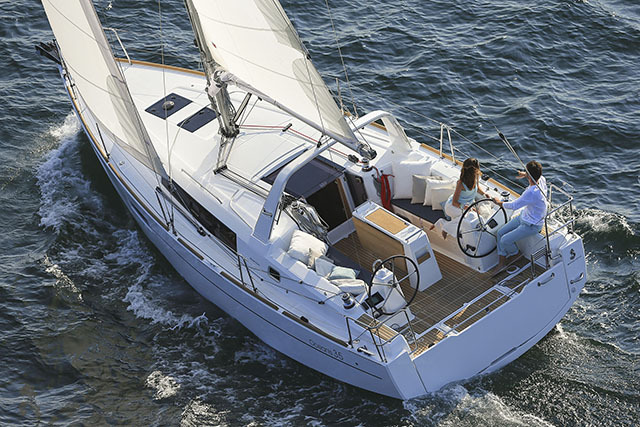 A versatile boat ideal for couples who like to have occasional guests aboard. 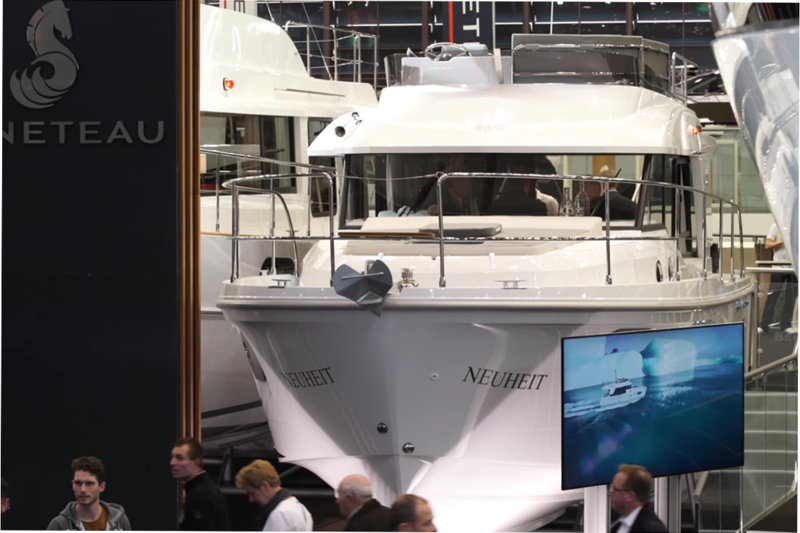 This is the Swift Trawler 35 from Beneteau and as you can see from our First Look Video below, it is incredibly popular. 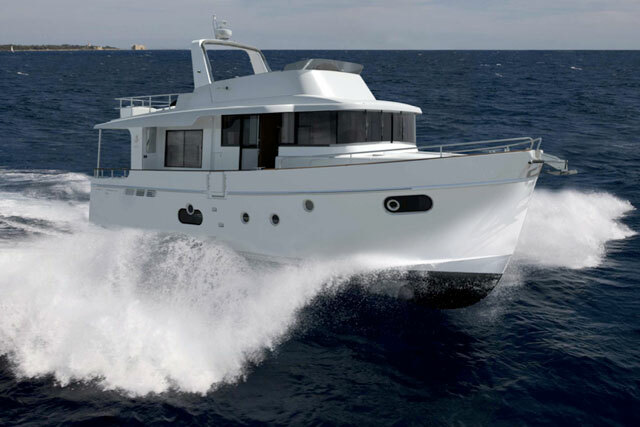 This boat has superseded the Swift Trawler 34, of which they sold nearly 500. 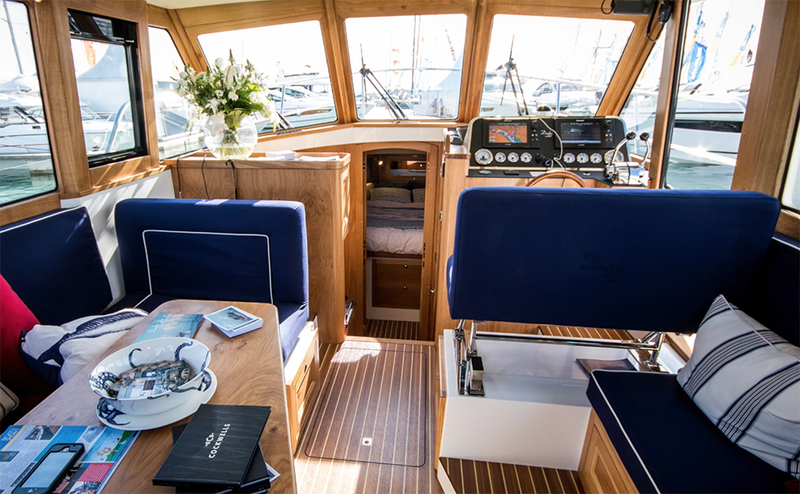 It is a really versatile boat, notice how the table can come out from the saloon and go into the aft deck as a dining area, and the actual seat in the dining area unfolds to give you an occasional double bed, perfect for guests. 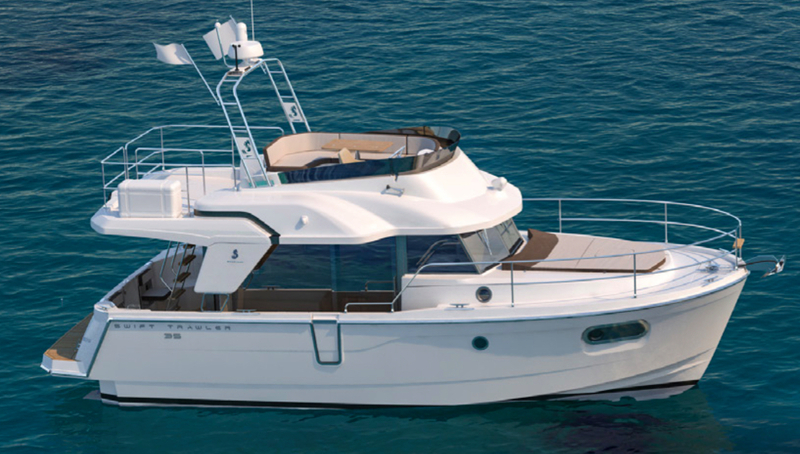 If you look at the side door, guests don't need to be disturbed as you can move around the side of the boat. 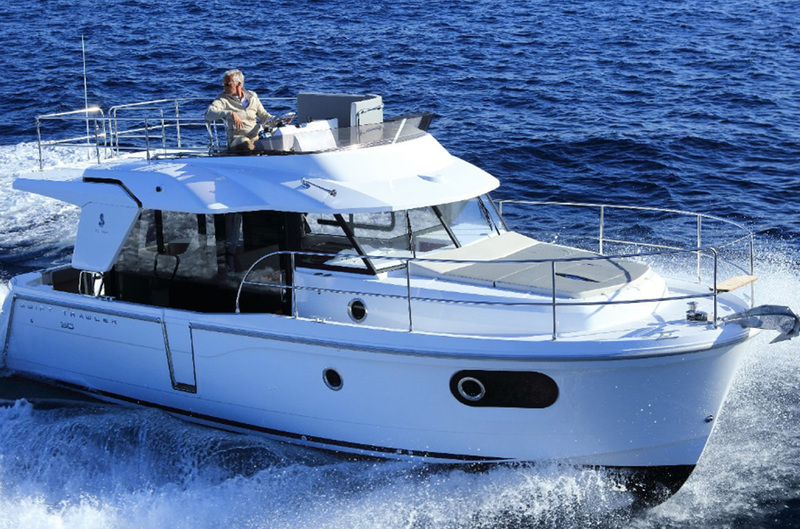 This is part of the popularity of this boat a it is ideally suited for a cruising couple who enjoy having occasional guests on board. Everything is very close and compact front eh helm station, you have the galley over here and the dining station just behind. Accommodation-wise there is an owner's cabin forward with a very generous double bed and a twin cabin on the port-hand side with a toilet opposite. 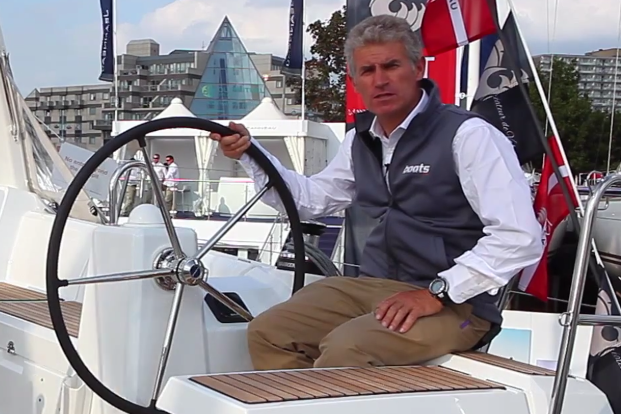 This is a very safe boat, easy to walk around and easy to manoeuvre. 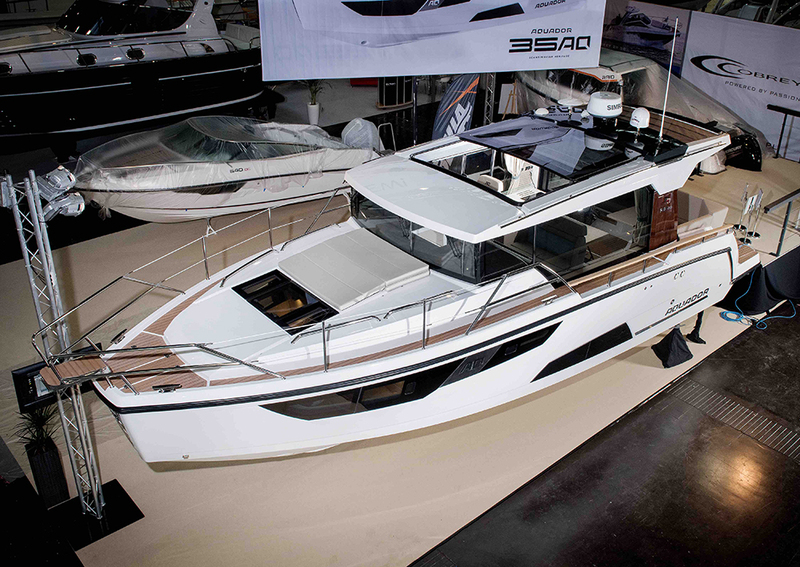 Power comes from a single 425 diesel on a shaft drive and there's a bow and a stern thruster.